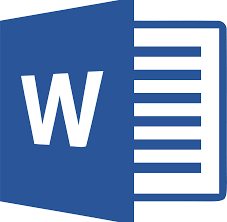 What is a WORD document and how can I make sure it is 2MB? A lot of our candidates are unsure when it comes to us asking them for a WORD document that is a certain size. We hope that this short blog article will help you better understand what we mean when we ask you for such a file to be uploaded to our database. When reading this blog, we suggest you have a look at your CV, and check if it matches the information below. Our free online application process only accepts CVs that have been typed out in WORD format. You can also make sure your document is a word document by looking at the file name. If it says the file name and ends in .doc , you know it is a word file. Unfortunately, you cannot upload a scanned image or a PDF. In order to make sure it is within the 2MB (2 mega byte) size limit, all you need to do is right click on the file, go to properties and it will give you a file size. If it is over 2MB, you may need to take out some information or compress the file. You can find compress applications online, and they are free. If it is a WORD document and less than 2MB, you are ready to upload your CV to our online application! Please visit our jobseeker page, and upload your C.V to our nationwide database! Should a potential job offer open, and you are considered, we will contact you! Let our dedicated and hard working team of consultants find you the perfect candidate. Please visit our employer page and tell us what you are looking for! Measured Ability is a Recruitment Agency and Labour Broker / Outsourcer, providing staff for all industries all over South Africa and into Africa and the Middle East. Let us manage your staffing requirements, whether that is permanent or temporary, blue collar or white collar, from general workers to CEOs.